The book explores the changing landscape of anti-doping investigations, which now largely centre on the collection of intelligence about doping through processes such as surveillance, interviews with witnesses and interrogation of athletes. It examines why and how investigative processes, hitherto typically reserved for serious crimes, have been co-opted by anti-doping agencies into a situation where their potential for harm has received little or no critical consideration. This book highlights the opportunities and threats inherent in adopting new investigative processes. It is expected that many of the same problems that have engulfed forensic investigations over the last two decades, such as miscarriages of justice, are likely to surface in future anti-doping investigations. 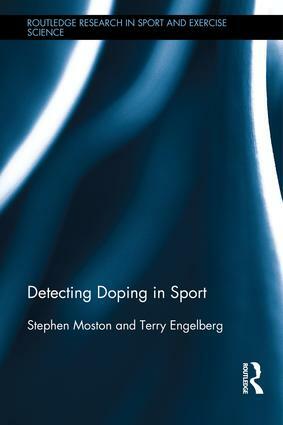 Drawing on empirical research and theory from a range of disciplines, including: forensic psychology, criminology, policing, law, sports management and policy studies, this book fills a scholarly vacuum on the investigation of doping through non-biological detection methods. Stephen Moston is Adjunct Associate Professor in the College of Healthcare Sciences at James Cook University, Australia. Terry Engelberg is Associate Professor in the Colleage of Healthcare Sciences at James Cook University, Australia.